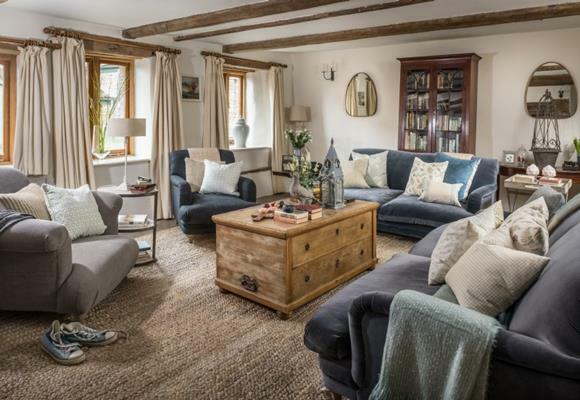 Ten years ago, the sale of an enchanting wreck of stone cottages captured the imagination of a former local who made the cross-country journey from London to attend its auction. With dreams of a life wearing dungarees and picking raspberries from the garden, she bought the romantic ruins and renovated them to offer idyllic escapes completely off the beaten track. Set in sixty glorious acres and cradled by the arms of the Black Mountains, this was the home in which Horatio Clare wrote his heart-stirring title 'Running for the Hills'. 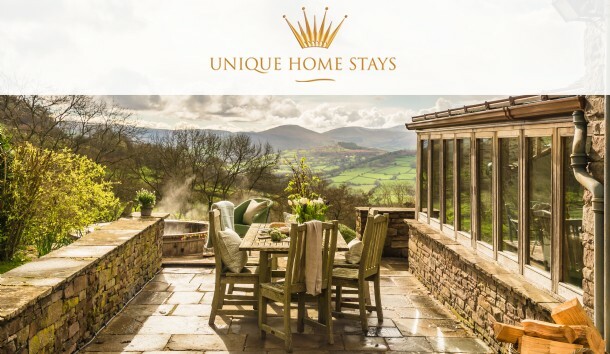 Now, this luxury farmhouse gives friends and families the chance to run away to the very same house for hot tub stargazing, evenings tucked up by the fire and a true mountain getaway experience. 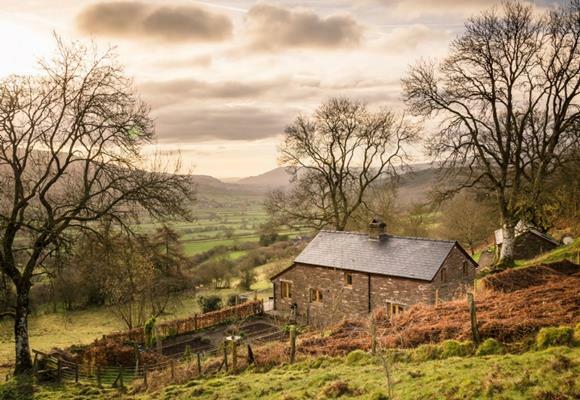 Rippling all the way from the England-Wales border to Llandeilo in the west, 45 miles of lush green valleys and high mountain plateaus make the Brecon Beacons a sublime base for adventure. Beautiful wilderness merges into big skies to make you feel a million miles from home, without the long-haul journey. Lose your head in the clouds encircling Pen y Fan, dive into tumbling waterfalls, nose the shelves of Hay-on-Wye’s famous old bookshops and embrace all that this dramatic National Park has on offer with a unique Brecon Beacons escape. Wondering what else Wales has on offer? See our complete collection of Welsh retreats.